This week has flown by at such a rate that I have to keep reminding myself what day it is! I kind of like it that way. I’m busy, and as it turns out….so is Duran Duran. Yesterday was apparently a very productive day for our guys as they met with Mark Ronson(you know who this is)…and Lykke Li (she is someone John has mentioned several times – check her out! )..AND Graham Coxon (Blur)…in a studio. DDHQ tweeted a photo or two using the #DD15 hashtag, and Mark Ronson mentioned it as well. What could it all mean??? Many Duranies are ready to throw parties, assuming this must mean Mark is producing the next album. Others are retweeting the photos citing that DDHQ *said* it was for the next album, so that must be the case. It is written in stone now, because DDHQ tweeted it. I know a similar saying that goes a little like this, “I read it on the internet, so it MUST be true. I’m not saying DDHQ is telling fibs, but I am going to go out on a limb and say that they’re doing their job. PR is a thing. Keeping Duran Duran in the news, being talked about, having photos shared, etc….is important. However, we don’t even know if any of this is going to be an actual album. The band hasn’t even committed to labeling what they’re working on beyond saying they’re working on new music. I don’t think that’s a horrible thing, either. I like the idea of the creativity happening organically rather than them thinking, “Ok, we have to hurry up and write this album. Let’s do it. Now!” I would imagine it might feel a lot less daunting and, in some way, less restrictive, to say they’re working on new music than it is for them to say they’re working on creating a new album….to release in 2020 in culmination for their 40th anniversary. Get it? If that doesn’t sit well with you, I’ll give an anecdote. Several years back, Amanda and I wrote a manuscript. We submitted it to a publisher who showed interest and wanted us to rewrite it and frame it a different way. We had a deadline, and so Amanda and I went to work. While the writing wasn’t horribly difficult, much of it felt like writing an extended college essay rather than this organic, holistic creation. In the end, the publisher didn’t take the book. That was a huge blow. I wish we’d have just worked the way we always did – letting the manuscript take US on a journey rather than the other way around. I would imagine that in the most basic of ways, creating an album is the same. While sure, DDHQ is using the #DD15 hashtag, that doesn’t really mean a single thing in this moment other than keeping all of these ongoing news bytes grouped together. Yes, they’re speaking with people. Yes, they’ve been in a studio in London, and they’ve met with Mark Ronson. They’ve also worked with Errol Alkan and plan to go back into their studio in London in a few weeks. This is a process. Aside from having hope to have new music in 2020, there are no lines in the sand, no plans set in stone. Once upon a time, I would speculate. I’d make assumptions based on the news I would hear. And then there was that time that they met with Mark Ronson and we all though for sure they were going to have him produce their next album…but he didn’t. He worked a little bit on one or two songs. Next was that time that they had someone with the initials B.F. work on a song, and then due to obligations to his own label contract, he couldn’t appear…so someone else did. Should we be excited by what we hear or see from DDHQ about studio happenings? Absolutely. If nothing else, be curious! That’s the point. Check out Blur if you don’t know them. Listen to Lykke Li if you’ve never given her a chance! By all means, download Wonderful, Wonderful by The Killers and listen to “The Man” on repeat because that was produced by Errol Alkan. But don’t make the mistake of assuming that what they’re doing right now, or yesterday, or even tomorrow, is going to have anything to do with whatever music eventually ends up in your ears. Keep an open mind rather than expect based on assumption. I used to be one of those people who wanted to know the news and be the one to break it before anyone else. No matter how quickly I’d hear of something, someone else knew it first, and I’d get disheartened very quickly. It would boggle my mind how people found out about things so fast. Other times, I’d hear something that I’d feel very confident was truth, only to find out later that the band had changed their minds. There was always someone who knew first, and had better info. Nowadays, I don’t care too much about being first. Don’t get me wrong, I still like talking to people who know what is going on with the band and hearing about their progress, but I don’t need to be the one to share it. I know what I know, and really – that counts for nothing at the end of it all. This is a process, and much of what we’re learning right now will indeed change by the time music is released. Once again, I find myself saying “Trust the Process”…along with “sit back and enjoy the ride.” This is going to be good! So, show of hands….how many of our readers are at home because of snow/cold days?!? I hear that Chicago is going to be colder than the Antarctic this week. Amanda has been telling me about forecasts that have Madison’s wind chill at -50 (Fahrenheit) or more. That’s ridiculous!! I hope everyone stays warm! I apologize for the lateness of the blog. I used to have this routine down – I’d be up by 7, blogging by 8. Nowadays, I’m dragging myself out of bed at 8:30 and I’m hard pressed to get the blog finished by noon my time. It’s not a great routine yet, but I’m working on it. I came upon something today that reminded me about Reportage. It was a picture of what was obviously a fan-made cover for the album, and it was in turn on the cover a book titled Bootlegs. I’d never seen a cover of any kind for the album until today. That said, as far as I’m aware, no copies exist outside of the hands of the band. Naturally though, this photo got a few of us talking. Could I find it? Really? More importantly – do I really want to find it? These are questions I was asking myself this morning, as I chatted back and forth with friends on Twitter. There are real collectors in the Duraniverse. They are people I very much admire because they work hard to find that obscure poster from 1981 or a specific promo copy of “Hallucinating Elvis”. I have a great deal of respect for people like that, and I tend to learn a lot when speaking with them too. There is a vast amount of expertise to be gained from the collectors amongst us! Me? Nah. I don’t spend a lot of time hunting for albums in old vinyl shops (although I do pop in and check the “D” section from time to time), I don’t hunt online for posters on eBay. I don’t have all of the tour books, pins, or even t-shirts. I do like knowing that I’ve heard all of the variations of music, though. When it comes to unreleased music though, I’m not sure how I feel. On one hand, I love hearing how Duran Duran went from Point A to Point B. Hearing demos is one way of audibly experiencing that journey. I enjoy having that understanding, because when it comes down to it – I’m still a musician at heart, and I dearly love being able to hear the progression of a song from reasonable beginning to completion. On the other hand though, as I said this morning, if the band wanted me/us to hear it – I would think they’d just let us have it. So to get it from some other means seems, well, not right. As my friend said in reply – I’m no goody-goody here. It doesn’t seem right or fair to the band to get hold of something that they weren’t ready to put out themselves. It is, of course, very different if John or Nick said “Hey, why don’t you take a listen?” But to just leak an album and broadcast its existence wouldn’t be right. As we know, that hasn’t happened with Reportage anyway. I mean, at least not that I’m aware. In some ways I still wonder if I’m among the last remaining DD fans that hasn’t heard it. I suppose I haven’t really hunted much for Reportage. Several years ago I did try to sniff it out online, but came up empty. After that, I kind of let it go, only to be reminded of its existence every now and again. I’ll think of it for a few minutes, and then I’m off again. I would have figured it would have been leaked by now and be commonplace. It would seem that this is one of the better-kept “secrets” in our fandom, at least from my perspective! 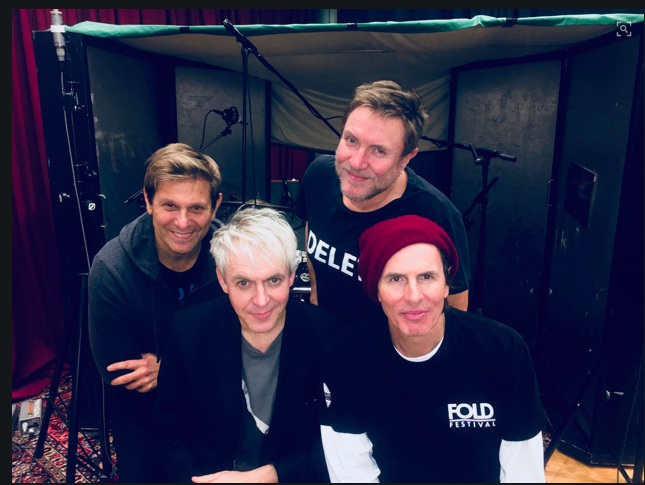 So while I suppose I’m still curious about what it sounded like, I’m also more interested in what the band is working on now, post-Paper Gods. Hearing Reportage now would be like looking back, when really all I want to do is keep moving ahead. I can’t believe it is already NYE…and yes, I’m back. I suppose I’m a few days earlier than I expected – I figured I wouldn’t be ready to blog again until around the eighth of January. The thing is, our move went really well. Christmas, with all the trimmings and even some decorations, happened. I even found and hung the stockings (and yes, I am still in full belief that I deserve a massive vacation for making that work!) We’re settling in and unpacking. I can’t say it feels like home yet, exactly (I’m still feeling like I have to hurry up and get done with whatever I’m doing at the time because I need to drive back to Orange County…), but we’re getting there. It is actually colder (cooler?) here than in Rancho Santa Margarita. I woke up to ice on my car the other day, which made me laugh. I’m in hoodies and jeans most of the time. In fact, I’m wearing my Duran Duran hoodie right now – normally it’s way too thick for me to wear unless it is raining and cold – but it’s perfect for the mild winter here. I’m in heaven. We’re adjusting to other things, too. Costco is about twice the distance from us (think big box “in bulk” warehouse if you’ve never heard of it), and my closest Target is two cities over. I’ve already had to lower the boom on my husband twice now for leaving the gate at the top of our driveway open, all because deer will come in, eat the plants and never want to leave. The thought of this makes me laugh. We’ve really gone from discussions of Teslas to tractors, and so far, we love it. 2019 begins tomorrow, and I’m ready. I don’t feel wistful, or melancholy about things I should have done but wasn’t able to get accomplished. I left everything I had on the stage, so to speak. I feel like I’m at the beginning of something new, and right where I need to be. I have no idea what is coming, but like Duran Duran – I believe it is something very special. Typically, I face each new year with a little apprehension. Normally, I want to believe the good stuff is just up ahead, but somehow by mid-January, I’m back to feeling the same sort of blahs I did the year prior. It isn’t a great cycle to be in. This year, I’m just not letting the blahs happen. My expectations for the year, should there really be any, is just to get comfortable in my new whereabouts. We’re going to get some chickens in the spring, so that’s going to be a brand new experience that I’m pretty sure will end up with me being the chicken mama. My husband, bless his crazy little heart, thinks we’re going to get and raise goats too. Let me just say this: if the goats happen, I am DEFINITELY starting a blog, and maybe even a YouTube channel about that journey. I’ll let everyone know, because it would be hysterical. Teslas to tractors indeed. Who knows what the new year will bring? In the meantime, we’ve got that band to discuss. I hope that they’re all ready for some serious studio time in 2019. I’ve had a few kind (and apparently very hopeful) souls tell me that since DDHQ has tweeted something like “DD15 in 2019” that the album will definitely happen next year. Why set expectations like that? *words I never thought I’d type. Anywhere. Ever. ‘Tis the season for wish lists, right? They could be specific to one of the holidays celebrated in December or they could be in reference to hopes for the following year. Some people create and share them and others feel strongly against them. In my family, we create and share them. I like giving gifts but I like to give ones that people actually want. On top of that, I have no idea what people have so lists are helpful. I do understand that it feels selfish to ask for specific items or that you are forcing people to buy you something by sending a wish list. For me, though, it is about giving gifts rather than getting gifts. My dad usually has the world’s worst list. For example, in the past, he literally had down toothbrushes and shaving cream. Okay. That’s super not fun. Sometimes, though, he has put something on the list that is bigger, more serious and usually unable to be acquired. We just have to wish for them. For example, for the Christmas of 2004, he put down a world series championship for the White Sox. We got it in 2005. This year he asked for no serious health concerns as my dad was hospitalized twice this year. I want the same thing for him. I know what you are all thinking. You expect me to say that I would love for the band to release #DD15 next year. Well, you would be right…sort of. Yes, of course, I want new Duran music. Who doesn’t? Yet, at the same time, I recognize that I cannot force the creative process. No one can. What this means is that I promised myself that I would be patient and understanding. Would I love for the whole album? Sure. But I also get that it might be asking too much. Would I settle for a single/song? Sure. Absolutely. I would definitely be down for that. I’m good even with little snippets of what they are working on. I think we would all understand that whatever we would hear would be a work in progress. I just would love to feel that excitement of having new music around, in some way, shape or form. I don’t know about the rest of you but I simply adored seeing any and all pictures from the studio! I probably didn’t comment on much but I certainly felt a warm glow each time a picture was posted. It reminded me that there were still some things in the world that were good and positive. It gave me something to look forward to. I would love more of that. Again, I’m trying not to be too picky or demanding. I would take a little something every once in awhile. Please and thank you. I am very much looking forward to seeing the band play live in February. Rhonda and I will be at the two shows in Las Vegas. Now, again, people might think that I’m requesting a new setlist or some different songs or something along those lines. I’m not, though. I feel like I should just be happy that they are playing and that I get to see them. That’s enough for me. Sure, I would love some different songs that we don’t usually hear, but I’m good with the same Paper Gods setlist. That said, I hope that they play more shows in 2019. I know that there are lots of places that they haven’t come to in awhile that would love shows. (Heck, even the Midwest would love some shows. Hint hint.) I hope that those fans get that chance to see them in 2019, too. Should I ask for Duran related stuff? I like getting and collecting Duran stuff. I’m not that serious of a collector like I know others are out there. (More power to you, by the way. I don’t have time to do all that.) In all honesty, I feel like I’m pretty good with my Duran related stuff but I do keep waiting for the Live from Japan DVD. It would bring back so much about the Paper Gods Tour that it would be a must buy. (I wish that they had a live DVD and album for each touring cycle.) I would be able to put that on and just let the absolutely fun memories engulf me. It would be good. I also noticed that there is a new t-shirt design on the band’s official web store. Even though, I have a lot of Duran shirts, I like it. Do you know what I would love more than anything in 2019? I would love to fall in love with being a fan, a Duranie all over again. Lately, I have found myself drifting away from Duranland. There are a variety of reasons for this but it makes me sad. Being a Duranie brings me such joy and if I don’t feel that…well, it isn’t good. So, I’m hoping that no matter what else is fulfilled on my fandom wish list, I hope for this. I know that I need it. So, that’s my Duran Duran fandom wish list. What would be on yours? Well, this is it. My final blog of the year, written at the small little table we currently have in our dining area, for the very last time. It is weird to think that in a week, there will not be any furniture in the house, and I’ll be doing the last little bit of clean-up before we hand over the keys to the new owners. It feels a little anticlimactic because of how long I’ve been preparing for this. I can hardly wait for a day when I’m anguishing over not having anything to write about from my personal life for a change. I think we all know it is only a matter of time before I have to share some crazy antidote about “life in the country”, which is something I’ve never really experienced before. I’m actually nervous about not having a grocery store right down the street, as I’m infamous for forgetting things and needing to run out for one last ingredient. My family celebrates Christmas, and this year is going to be different. I like to say “different” rather than “insane” or “a complete disaster”. Since we’re supposed to get the keys next Friday night, and our furniture is coming on Saturday, I have at least a small hope of pulling something together. Maybe. If it comes together, it will really be a Christmas miracle. If it doesn’t, well, it’ll be memorable! No matter what the outcome, I feel very thankful. My children and husband will all be together under the same roof, and really, that’s all I need for Christmas. I know that there are many families, many friends of mine, who will not have that this year. So, you can bet I’m treasuring that time, no matter what ends up on our plates for dinner. After Christmas, 2019 is headed straight for us. I really have no idea what lays ahead. In previous years, I wanted to know how to plan. I felt this need to be in total control. Then 2017 happened, as did 2018, and I realized that very precious little is under my control. I’ve gotten a little better at just “rolling with it”. It doesn’t come naturally, and I haven’t perfected how to remain calm and relaxed while chaos goes on around me, but I’m trying. I need to work on getting acclimated to my new home, but I’m also going to work on updating this site. I don’t know how long we’ve been hosting our blog now, but I think it’s been a few years. When we moved the site, I didn’t archive much. I just moved it all over and hoped for the best. Well, now the blog is enormous. I need to work on archiving, and I really want to do a site makeover. I won’t get started on most of that until January, but it is on my to-do list and I have a goal of making it happen. So, 2019 isn’t going to be boring! Alas, the time has come. I need to bring this final blog (of mine – Amanda will still be posting tomorrow!) to a close. I wish everyone a merry whatever-you’re-celebrating. Have a wonderful holiday season. Take care of yourselves. Happy 2019. Stay safe! I will “see” you in January, and until then – I’m sure you might see an occasional tweet or two from me! The holiday season just keeps on giving!! Sure, the gifts might be small – depending upon how you may feel about pictures of the drummer “in residence” at the studio…. The pictures make my day! The more the merrier, actually! As I wander through my house, endlessly trying to find the holiday ribbon that was probably packed months ago, I will gladly accept even the tiniest of gestures to remind me that all is well. Seeing Roger in the studio, behind his drum kit, works for me! At some point, the band will settle into the seemingly never-ending process of writing and recording, and the pictures may stop for a while. Until then, I’m going to cheer over every photo we get, and…yes…trust the process. I don’t know how much “the process” has really changed for the band over the years. Naturally, technology has advanced, but beyond that, I don’t know if they really do things any differently. On this side, fans have the added benefit of being “plugged in”. Earlier albums seemed to just appear out of nowhere. I didn’t know they were recording until something was released. These days, thanks to the internet and social media, we are made more aware. For me, this is a double-edged sword. I love seeing the pictures. I used to get so excited when they’d post snips of whatever they were working on. Some might even say we – or I – obsessed over details before we really knew they were even going to be real details on an album. It wasn’t necessarily fair to the band. In hindsight I can say that doing all of that was part of MY process. I needed to learn how to blog. Understanding that I had a duty to be responsible with my words and opinions took me longer than I want to admit. The learning curve was a roller coaster, and at times I crashed and burned. Balance is important. I might not be able to contain a grin, or a post or two when I see pictures indicating that the band is working in the studio, but I know that it is unfair to the band to dissect whatever new music may arise from this time before any of us even have it in hand. Not only would I be setting an unfair prejudice for their work, it would be unkind to fans. My hope is to be able to report on whatever progress is shared, without interjecting too much “early opinion”. Overall, while the band is hard at work, I am hoping to be a bit more patient, introspective, and use my time wisely….once I finally unpack and find my holiday ribbon! Last weekend, I discovered that Duran Duran is, indeed, back in the studio working on their next project. Now, we don’t really know if the plan is to complete a whole album, a mini-album like an EP or something completely different. Many of us assume that the plan is for them to create an album, #DD15, if you like. I’m good with going with that plan. I, like many/most/all fans, am all for a full album of new Duran music. In thinking about this announcement, it got me thinking. Where do the shows in 2019 come in? Am I anxious for new music? Do they feel like they finish a project completely before starting the next? Is that the way to do it, if so? Initially when I heard that Duran was getting started on the next project, I thought about how the band finishes one project before beginning the next. For example, we know that they worked on All You Need Is Now before Paper Gods. The shows in 2011 and 2012, for instance, belong to the AYNIN era. As the band now enters the studio, many assume that the Paper Gods era is over and a new one will begin. I think that. Then, I wonder where the upcoming shows in 2019 fit. Are those part of Paper Gods or #DD15? Did we have shows like this after Astronaut or Red Carpet Massacre or AYNIN? Without looking, I bet we did and that we lumped any of those shows in with the previous era. Is that fair? Not sure. I wonder if we do this because of the fact that they didn’t or won’t be playing new songs. No matter how we categorize these upcoming shows or how we label the studio work that is going on, I can’t help but think about the idea that there are beginning and ending marks to each Duran era/project. Yes, as I just pointed out, the ending point might not be as clear cut as you might think. Still, their job, their history can be clearly divided between album projects. I wonder if they prefer that, if they like that aspect of their job. After all, they finished shows in 2017 and took a significant break from what I saw. From my perspective, this is probably a nice way to have a career. They write an album before touring it. After that, they take a break. Sure, some might say that the constant cycle could be boring or could result in losing creativity but it seems like a good way to sustain themselves long term. In many ways, my life runs in a similar cycle. I have a school year in which there will be consistent activities before I get a break in the summer. Similarly, campaigns work that way as well in that once election day is over, there is a brief time of reflection and clean up before a break. Interestingly enough, other projects like our writing projects haven’t really worked that way for the most part. Would it be better if they did? Would it be more positive for us to write for six to nine months then take a break? I don’t know but I appreciate that Duran’s return to the studio has got my mind thinking a bit. All this leads me to wonder if I need Duran Duran in the way that I did in 2012 or 2015. I remember feeling so anxious to get my hands on new Duran music then. Looking back, I’m sure there were a couple of factors for my desperateness. First, in 2012, I was looking back to the All You Need Is Now era and realized that I had an absolutely amazing time. I simply didn’t want it to end. In all seriousness, I felt like Rhonda and I had worked hard to make this blog something and had started to hold fan events. It felt like we were onto something and having a break was going to kill it. I worried if this blog could be sustained without new Duran activity. On top of that, my Duran-related activities helped me ignore some trauma. Now, though, I feel like I view my fandom differently. First of all, I don’t worry about the blog as much. I know that we can blog for long periods without new Duran material. I trust in us more now. Second, I think I see fandom as my place of fun, my escape. Of course, there are still things that I would love to do surrounding our writing or more fan events. That said, I have other activities in my life that need my attention, too. Life does not stand still and I cannot either. So what does this mean in terms of new Duran music? Simple. I cannot wait for the beginning of the next era! It means new, fabulous music as well as good times! Who wouldn’t look forward to all that?! But…I don’t need it desperately as I might of in the past. Nope. I am going to be patient and busy with the rest of my life until I can celebrate new Duran. I look forward to that. There’s no place like home in Duranland! There are no hard and fast rules about what makes someone a fan (other than liking whatever is the object in question), and there really aren’t rules about what one should or shouldn’t do as a fan. Yes, there might be societal rules, or fairly arbitrary boundaries that are enforced by the larger group, but the guidelines aren’t really written. 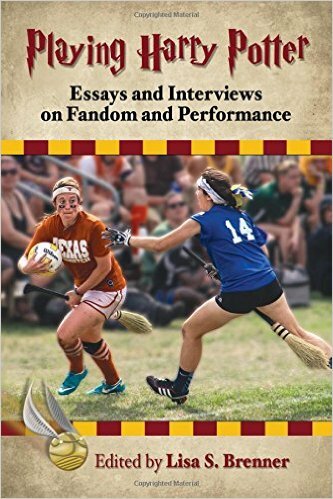 We certainly can’t pull the book of fandom rules off of a shelf and recite from it. None of this is illustrated more clearly than when Duran Duran posts any sort of an update. The other day, the band posted a photo of them in the studio, indicating that they were back in the creative mode. Reaction from fans, including myself, ran the gamut from giddiness to dubiety. Mentions of #durantime on both the original DDHQ post as well as personal Facebook accounts led to sharp exchanges between fans. Declarations of “How dare someone question the length of time before an album comes out?” along with equal measures of “Why can’t anyone take a joke?” led the charge. I found myself with the smallest of grins, because Duranland wouldn’t feel like home if people weren’t bickering, even over what seemed liked good news. We’ve been doing this for forty years! Then there are those who celebrate their fandom by giving the band advice. We’ve been fans for forty years, we know what works, right? “Please go back to the AYNIN formula”, “Make another album like Red Carpet Massacre!”, “Work with Ronson – he gets us!” Everyone seems to know exactly what direction the band should be headed in, with all of the confidence and wisdom that comes with having written and recorded fourteen chart topping albums. Aren’t we all so damn smart?!? Listen, I’ve been there. I’ve done this. I will likely forget myself while in the company of other fans and occasionally slip. To read the advice online in a series of comments though? Yeah, we sound like assholes. We really do. I’d say we’ve gotta stop, but I’m almost sure someone will write in telling me that it’s their RIGHT to say whatever they want. And it is. So I won’t. What you choose to do with your fandom, and how you choose to BE a fan, is your choice. I will never completely buy into the idea that a “good” fan is never critical, or never pokes fun. I can’t really argue though, with people who only see the sunny side. We all do this “fan” thing so differently. The longer I participate, the more I realize that fandom is as much about learning how to accept differences as it is celebrating common adorations. Don’t You Just Wonder? #DD15 Here We Go! Yes, they’re all together in the same room. They certainly look quite pleased with themselves for remembering to provide photographic evidence of such a meeting. Don’t you kinda wonder?? I sure do. I wonder what they’re thinking about. The blank screen I see when I click on “post new” each day serves to equally daunt and empower. Even when I know what I want to write, typing it and seeing the words appear doesn’t always go smoothly. Some people have coffee in the morning, others need a shower – I need both. There are mornings when I have stood there under the water, letting it wake me up and giving me a minute or so to think about the day ahead, and have completely composed a blog. I rush to get ready, only to begin writing and realize I can’t exactly remember the genius idea I had running through my head ten minutes earlier. Then there are the days when I have nothing to say at all, and it doesn’t become any clearer when I sit down to the computer. When Amanda and I were diligently writing manuscripts, each new chapter brought equal amounts of anxiety and excitement. We would try to map out our manuscripts, knowing what each chapter needed to convey and how we planned to get from point A to point Z. Invariably though, I would need to have a phone session during which we would brainstorm over points to consider and include within the chapters. Only then could I settle down enough to begin writing. It was as though I was so excited to write that I couldn’t sort through how to begin. When I look at that picture with the four of them, I wonder how they feel. Are they nervous about starting again? Do they know what they want to do for #DD15? Is jamming for them similar to what Amanda and I might do as we chat about whatever we’re about to write? As a clarinet player, I was never one of those who could improv well. I have a difficult time coming up with melodies on the spot, I suppose. Sight-reading is a skill I’m far more comfortable with. Clarinet players are typically orchestra people, for the most part. The idea of sitting down and composing an entire song, or a complete album, sounds an awful lot like climbing Mount Everest for the fun of it…and then doing it again, just for kicks. Thinking of the task on those terms reminds me of how remarkable it is to be blogging about the potential for a 15th studio album. Whatever they might be feeling or doing in this moment, I love the energy surging through the fandom right now. It pulses like an electric current, supplying life, and waking us up out of a dreamy slumber. None of us know what is coming, but we’re excited by the possibilities. #DD15, here we go! Sorry for my absence last week! My husband was laid off late last year, and spent five incredibly long months looking for a new job. Some people find jobs quickly, but in the tech industry, his work is far more specialized and it just takes longer. Unfortunately in his business, reorganizations and layoffs are normal. For the past twenty years, we have been lucky. His job changes—we think there have been at least seven—never required a move, and we’ve lived in the same house in So Cal. Two of our three children were born nearby, and for all of them, this house is “home”. My husband started a brand new job this morning in Santa Barbara, which is about 150 miles from our current home. Over the summer (I sincerely hope it’s over the summer! ), we will be moving because the commute from the OC to Santa Barbara is insanity, obviously. He drove up this morning, leaving our house just after five (that is AM, thank you). He just texted me at about 8:45 my time to let me know he’d gotten there. That’s an hour longer than it should have taken him, thanks to typical Los Angeles traffic. There’s no way he’s going to be able to keep up that pace for long, not that we ever thought otherwise. I do find the timing and the uncertainty amusing. After all, we’re in-between albums, aren’t we? None of us have any idea when a new album will drop…or IF a new album will drop. (To clarify, I have no reason to suspect they wouldn’t go back to the studio!) We don’t know if that band will ever tour again, although right now I feel pretty positive they will. (No hate mail, please) I’m just glad that if my life is about to be turned upside down, we’re doing it now…and I’m willing to bet that on the next Duran Duran album, there will be at least one song that I’ll identify with that describes this period of my life, because THAT is how good this band is. They get it right even when they have no idea who I am, or what I’m about, or going through. Each of us have our own lives going on during the time when Duran Duran are killing us with silence. I tend to think in terms of “pre <insert album title here>”, “post <insert album title here>”, or even “in-between titles”. I’ll probably always remember this time in between as the period where my life closed one chapter and began another (and yeah, that’s pretty poetic). The joys of moving. I listened to Paper Gods today as I was driving home from dropping Gavin back off at his UC Riverside dorm. It’s an hour from our current house, which isn’t awful as long as there isn’t traffic. I hadn’t listened to PG in a while just because I was trying to give it a bit of a rest after having it playing on repeat for over a year. I can still remember how it felt to stand in the audience at the Hollywood Bowl and seeing them play the set live for the first time. I don’t know if the album really is a favorite of mine – I found that it took me quite some time to really bond with it in any sort of way – but I will say that the tour was a lot of fun. Those memories will stick with me in the same way that the memories I have of this house will linger with me forever.